Be sure to drop by the Studios of Cocoa Beach during the monthly Main Street Friday Fest in Downtown Cocoa Beach, June 15, 2018, from 6 to 9 pm. In addition to the regular activities along the street…live music, food trucks, vendors and family fun…. the Studios will be offering a free art activity for children and more..
Tour the gallery to see the best of local art, meet the artists and watch a demo. 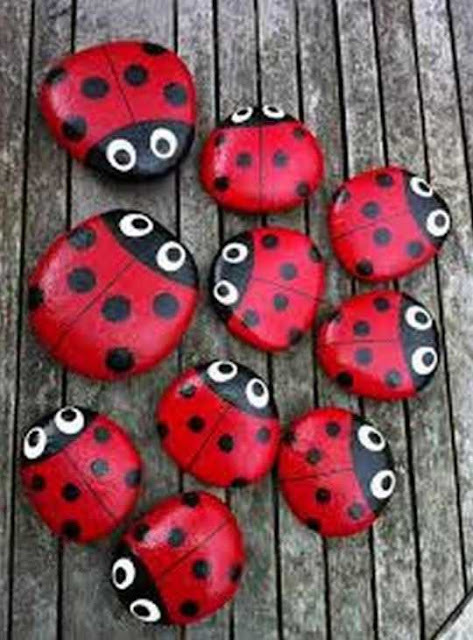 Let the children participate in a free Make & Take with Delia Swenson, turning a rock into pet lady bug. Visit with fiber artist Fonda Haddad as she showcases her children’s class on Gourd Giraffes. Enter a free drawing for art works by the Studio’s featured artists for June: Linnea Reid and Samantha Reid. The Studios of Cocoa Beach located at 165 Minuteman Causeway is a non-profit art gallery and the creative hub of downtown Cocoa Beach with a full schedule of workshops in a variety of techniques from beginner to advanced, adults and children. The Studio is open Monday and Tuesday 10:30 am to 3:30 pm, Wednesday through Saturday 10:30 am-8pm and Sunday 11 am-4 pm. For more information on exhibits, Studio artists, or the complete workshop schedule, visit the website: www.studiosofcocoabeach.org or call 321-613-3480.